I have just returned from a lovely few days at Potton Hall, deep in the Suffolk countryside, where we were recording my songs for release on disc which comes out next year on on the Navona Records label. Provisionally titled Quickening, the disc will have settings of English and Welsh poets, Rowan Williams, Christina Rosetti, Ivor Gurney and AE Housman. 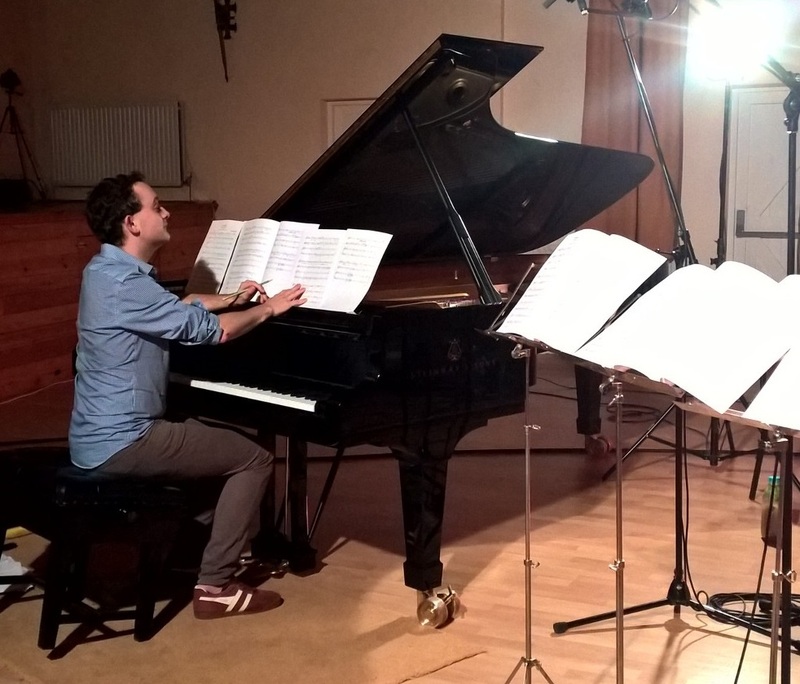 The pianist was William Vann and we were joined by Anna Huntley (mezzo-soprano), Rosalind Ventris (viola), and Johnny Herford (baritone), with recording engineer Andrew Walton from K&A Productions. We recorded my song cycle Quickening for mezzo-soprano, viola and piano, setting poems by Christina Rosetti, Winter Journey (for baritone and piano) setting Rowan Williams' poem Winterreise: for Gillian Rose, 9 December 1995, plus cycles of poems by Ivor Gurney and by AE Housman for baritone and piano. The Housman poems are selected from his later poems rather than the better known A Shropshire Lad.